Like many of you, I’ve been a long-time subscriber to CrashPlan Home Family. But recently I received an e-mail that this is soon going to end. 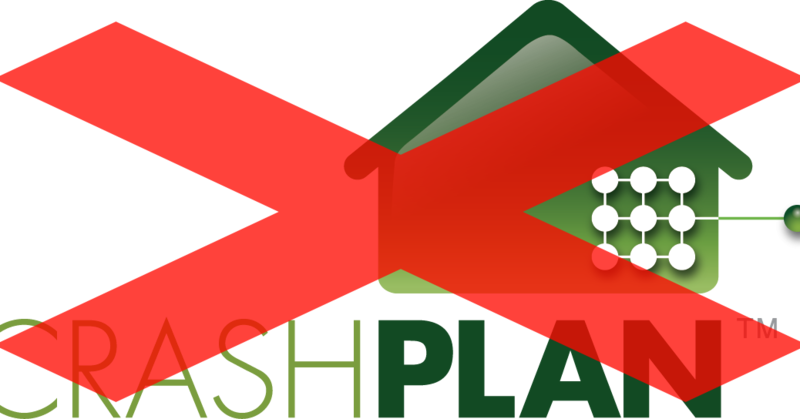 Like many before it, CrashPlan is cancelling their Unlimited Family subscription, no more multi-PC cloud backup! So I started thinking, how hard would it be to “build” a self hosted replacement? This will be a multi-article guide on how to build your own multi-tenant Crashplan replacement for yourself or you and your friends and family. While looking around online, there are lots of cloud vendors offering backup plans or storage plans, but none that come close to what CrashPlan Home Family offered for 150$ per year. Either they are way more expensive, or intended for a single home computer, don’t allow a NAS to backup, don’t automatically select video files or files larger then 4GB, only keep one version or have a max retention of 30 days, etc. etc. What features would a backup replacement need to have to truly replace Crashplan for me? I think that’s most of it, that list started out simple when I began looking for a replacement, but it turns out CrashPlan was actually quite features rich in what it provided! Cost calculations Cloud VS D.IY. Let’s say I want to backup 6 PC’s (2x Desktop, Laptops (Mine, Girlfriend, Mother, Father), using Blackblaze, who seems to have the best cloud offering at this moment, this would cost me 300$ a year. Looking at a period of 3 years that would be 900$ and for 5 years it would come down to about 1500$. And for that price, I’m not even allowed to backup my server! Looking at Blackblaze B2 we can again do the calculations. Let’s say we want to store 12TB of backups. Blackblaze B2 asks 0,005$/Month per GB . That means it would cost 60$ a month but we can backup unlimited computers (desktop, laptop) and servers/NAS devices. Calculating that it would cost 720$ a year to store all the data. For 3 years this would be 2160$ and in 5 years you would pay 3600$! One thing I would also like to note, most of the “unlimited backup/storage” cloud vendors have stopped those plans this year. I don’t know if Blackblaze is going to stop offering their unlimited plans anytime soon, but betting on it is at least a bit risky at this point. When doing some rough calculations you quickly find out that setting up a self hosted solution such as the one I’m proposing is going to easily cost you an upfront cost of around 1300$. That would include a server PC, CPU, memory, 20TB of disk space, etc.. This hardware allows scaling too, so scaling it to 30TB or 40TB would be quite easy. The DIY cloud backup solution would have almost no limits regarding how many clients you can backup or what type of clients. Also, the way we’re going to set it up, it’s going to be very easy to share this solution with friends and family. If they can pitch in a little bit, it soon becomes (much) cheaper then a cloud setup. So I adjusted my requirements and I looked into making a solution with the above list where the most important feature would be the “Encryption key set on client, not shared with server side” part. With that, parts of the environment can be shared. Because of the encryption and the way we’ll setup tenants, everyone can manage their own data and it becomes a true trust-no-one setup. And that’s an important fact, when sharing things with friends and/or family, you don’t ever want to be in the situation where you need to talk about if they trust you or not. Better to avoid that situation all together by making it impossible in the first place. One of the only prerequisites the self hosted setup needs is that you have a remote location where you can put the hardware which has an internet line you can use. In my case, my parents have a 100/100 fiber connection so they are the ideal candidate to host the server. But even with asymmetric connections like 150/15, at the server side most data traffic will be ingested through the 150Mbps downlink. Only when restores are required will the 15Mbps be needed. So during normal operations, when backups are made, the download speeds will almost always be more then sufficient. Most often the client side will be limited by the upload speeds their service has. You can run this server at home but in my opinion you want backups to be outside of the same location where you keep all your original data. In my opinion a backup should survive when a fire or flood comes to destroy your home. So maybe you could run your server at a friends home or a family relative? Myself I’m going to be placing this server at my parents home and in return they can make their backups to my server. As a bonus, they can use this same box as a NAS locally! During my few day search I read about many different software packages and feature comparisons. After a while I managed to limit it down to UrBackup and BURP. UrBackup fell off the list after building and testing it for 2 days. It does a lot of things right but sadly does not offer any form of client-side encryption abilities. A key factor in being able to share the same environment with a “trust-no-one” setup. After that I moved on to BURP and it showed a lot of potential! Especially BURP2 with protocol version 2 worked quite well. All the warnings that this was not production ready and some other inefficiencies kind of still left me wanting though. Also the interface was not very intuitive for non-tech people. I even tried to build my own variants using Opendedup and combining other software packages to alleviate these inefficiencies, but never quite succeeded. I learned a lot evaluating both software packages and they all have their own strong points. And this also changed my perspective a lot! I was trying to find one piece of software which would have a client and a server module and as it turns out, that limits down what’s available quite a bit. As soon as I realized that I could 2 different packages for that but just needed a compatible method of communication, the new plan was born! After a while and resetting my vision a couple of times of how I wanted things to work I stumbled onto Duplicati 2. This backup software package does a lot of things right! It has a client for Linux and Windows and even Synology, it does client-side encryption with no key on the server and on top of that also deduplicates and compresses! It also keeps versions of all files in all backups and has a nice and clear interface to manage. And on Windows you can even enable VSS snapshots to protect open files such as PST files, etc..
After running some tests against a SFTP/SSH server I liked it quite a bit but it left me wanting in the multi-tenant multi-client experience. Setting up shell accounts and directories for a lot of people would be quite a pain and I wasn’t going to let other people log into the server also making the solution too complex. But as it turns out Duplicati 2 can use a very wide variety of storage backends! Next to normal FTP or SFTP/SSH it can also use a variety of cloud vendors and general storage vendors which offer S3 storage. If you don’t like Duplicati, there are several other open-source backup tools available like Duplicity or Restic which can also talk to an S3 backend and do client side encryption, compression and deduplication, making them all good candidates. Or if for instance you have a Synology NAS, their Hyper back software also natively supports backing up to S3 storage! So it’s all compatible with what we’re building! 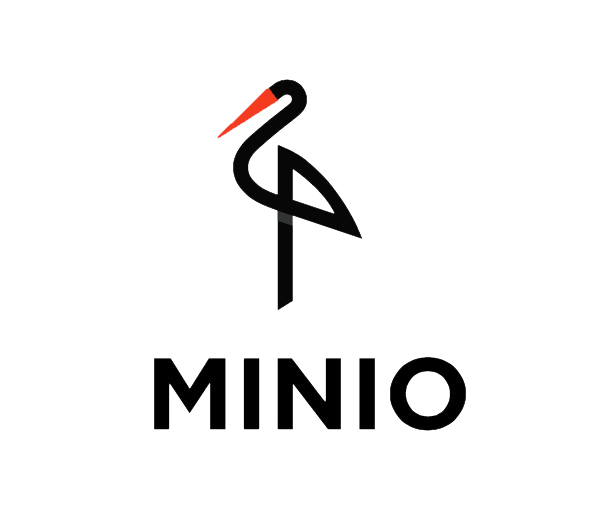 After searching for a storage backend that can run in combination with Duplicati to offer me more functionality, I found Minio. Minio is a lightweight S3 storage backend you can run on Linux or Windows. Each Minio instance also only uses a single TCP port so firewall configurations can remain simple. While I am familiar with CEPH and large object stores like it, those are often way too resource intensive and like CEPH designed for a completely different scale. Minio on the other hand is a very simple S3 backend server with some very nice features and best of all, really low resource utilization! After setting it up and configuring it, I liked it a lot and by starting a Minio instance per tenant (officially supported), each tenant can arrange their own buckets into which to direct separate backup clients. Each client or rather even each backup can use it’s own encryption key which is only kept client-side. 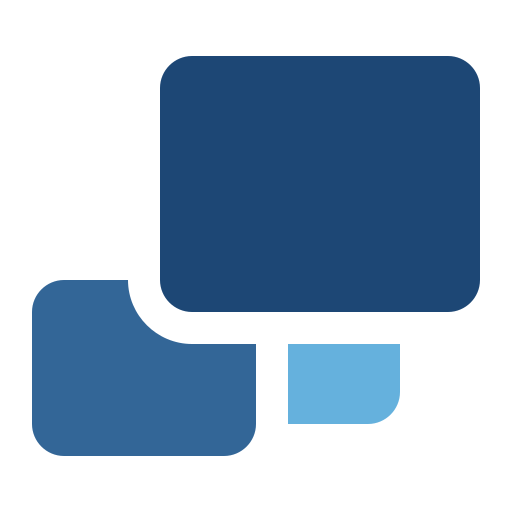 Making all data stored on the server unviewable by the server admin or any other user with access to the system or disks. Combine this with ZFS datasets and Quota’s and it my ideal DIY backup solution was born! I’ve been running the combined setup in my VM environment for a few days now and it’s been perfectly stable and I’ve been completely satisfied with performance/resource utilization and the way Duplicati 2 works in combination with Minio. One of the big advantages above Crashplan for instance is that Duplicati client uses about 80MB of memory instead of the 800MB or more Crashplan’s Java client would often use. Remote manageability isn’t up to par with Crashplan at this point but by configuring status e-mails on all clients gives you the ability to easily log all activity and verify all clients are making their configured backups just like I used to do with Crashplan. Since this is quite a lot to explain, this is going to be a multi-part post! Please see the index below to continue on to the next one! *Currently unlinked articles are not yet complete, but I’m working on them! Yes you can use Blackblaze, they are one of the best alternatives, but calculate the costs over a period of a few years. They ask 0.005$/Month per GB. Let’s say you want to store 12TB of backups, that means you would pay 60 dollars per month (not counting potential download costs). Looking at just a 3 year time period that would come down to 2160$! For that amount you can easily build a 20TB+ server and host it yourself (if you can park the box at a remote location like family). 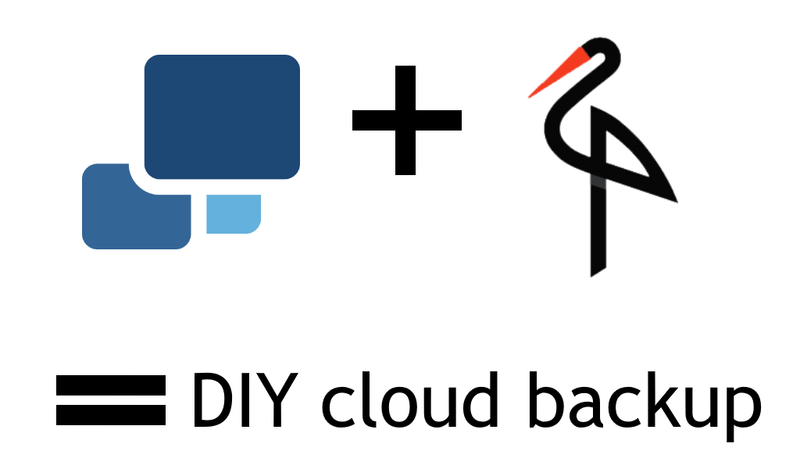 That’s what my DIY Cloud Backup solution is about! This is an awesome overview! Really nice work going over the tradespace. I have a demo set up in an ubuntu vm, and generally like how minio and duplicati work together. That said, I’ve also found Backblaze personal (not B2). 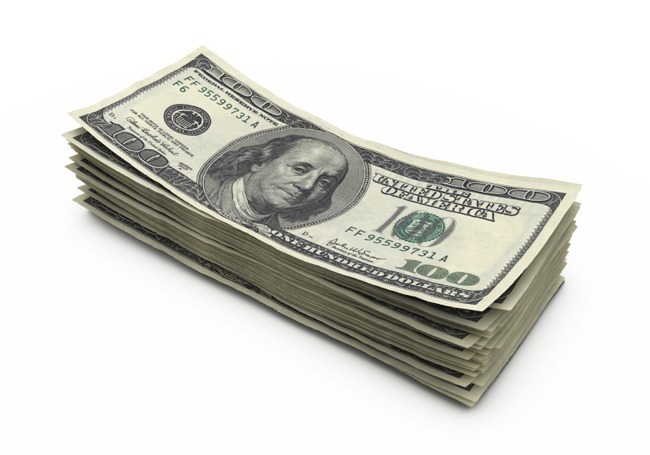 They charge what looks like a flat fee of $50/yr for unlimited backup of a single machine. I’m not sure if I’m missing some hidden fees there… but it seems really hard to complete with. I want to disaster-proof a home server, so only need to back-up that one machine. The lowest cost/GB currently seems to be 4TB drives – if I just do two storage drives to start, it’s already $200, not counting additional hardware, and electricity. That 4TB of storage looks like 4 years worth of backblaze personal at $50/year? Is there something I’m overlooking? Great article. We’re facing these decisions at church immediately, so I’ll start by treading your path! Thanks! Really appreciate the time and clarity of your posts. Your setup seems far more complicated than it should be. When I heard about Crashplan pulling the plug I started searching alternatives for easy cloud backup. I settled with Duplicati and Gsuite for Business (Google Drive) with my own domain name. On Gsuite website they say it’s 1Tb if there are less than 5 users but they don’t enforce this limit. I currently have over 10Tb for 8€ per month. Google Drive can be used with FUSE too, so that is just awesome! They have some kind of upload limit that seems to be 400 Gb – 1 Tb per day but for the price, this setup cannot be beaten. It can also be “multi-user” with shared folders. Thnx for the comment! 🙂 But I think, in time, you might be proven wrong…. As I stated in my article, more and more “unlimited” plans are stopping (Amazon and Crashplan being recent ones). I wouldn’t hold my breath to how long Google is going to remain doing this, especially if people “miss use” it, which forced all the other providers to stop. Although, and more important if you look at the Google drive conditions, you are allowed to use an unlimited amount of data if you have at least 5 users of 8€ a month. So a fair calculation would be 5×8€=40€ and not 8€. That it works now is no guarantee that it will keep working in the future, since you are officially abusing the agreement. Having to re-upload, losing your history, etc. would all be a pain. And in the end, you need something that’s cost effective anyway. It sounds ok (I’m not sold on multiple folders with multiple tenants, you want separate passwords) but I wouldn’t bet on the service being there a year from now. I’ve been trying to set this up with minio on macOS server and while minio runs on a server and duplicati can work with it from a client, I can’t get minio to run with the cert/key pair I am using for my services. Without TLS it’s not a feasible solution. can you evaluate the setup using syncthing ? https://syncthing.net/ its an open-source p2p file synching application, I’m currently testing it on the intranet and its working really well. Thanks for the post series & the info. I’m curious if you’ve run into performance issues with your setup and how you resolved them? I did a test to compare Minio vs. SMB backup to the same machine (same files, same network connectivity, etc.) only to discover that Minio was capping out at 2 KB/s on the initial backup! That’s ridiculous! Backing up to a folder share on my server gives me 7-10 MB/s under the same conditions; not great when a direct file transfer is 30 MB/s, but I’ll take the hit for encryption/deduplication. Following up here… I let the Minio + Duplicati backup run to completion, and it completed in nearly the same time as the same test to the SMB destination. So, I’m just going to conclude that the KB/s progress reporting while it’s backing up is just wrong because calculating the actual speed is closer to 7-10 MB/s on both configurations. Interesting test! I would imagine Minio have some extra overhead but not too much because what gets written are larger 50MB+ files. Duplicati is still a bit rough around the edges, still, from everything I’ve tested it’s by far the best free option right now. Keep in mind all cloud providers give you shared space, it’s actually public cloud. I would never put anything private.